Playa Del Carmen real estate listings by BuyPlaya Real Estate Advisors – your one-stop destination for finding spectacular beachfront properties in the Riviera Maya. 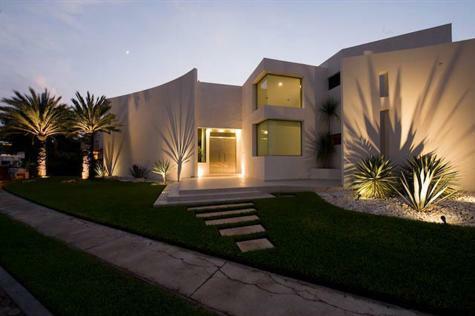 We are a family-owned and operated agency with more than 13 years experience in this Mexico real estate sector. Our specialty is providing expert and professional brokerage services to both investors and vacation homebuyers from Canada, the United States, the United Kingdom and around the world. We are dedicated to facilitating the buying and selling of exclusive properties in Playa del Carmen and the Riviera Maya region in Mexico that will never be advertised anywhere except online. Delivering an unprecedented level of professionalism and customer service is our ultimate goal. We have carefully put together a team of some of the most dynamic and knowledgeable real estate agents in the industry. The members of our team have extensive real estate experience in Playa del Carmen and the Riviera Maya. Their knowledge and insight about the region will help you in locating the most lucrative investment properties and gorgeous homes for sale Playa del Carmen. Count on us to get first-hand information about high-end properties for sale in Puerto Aventuras, Playacar, Tulum, Akumal and other areas along the Riviera Maya. You can be assured that our agents will show you the best investment opportunities at the very best price possible. We stand by our mission to make the entire process of property buying as hassle-free, quick and smooth as possible while making sure that your interests are protected at every step of the way. Are you looking for elite property listings in Playa del Carmen or the Riviera Maya? BuyPlaya is the ultimate real estate agency for you! We specialize in serving these areas and regularly update our property database with hundreds of current real estate listings for your convenience. The properties that we present to you are sold discretely. Some you may never find advertised or marketed in the open market. With our assistance, you will gain exclusive access to one-of-a-kind commercial opportunities including land for development, hotels for sale, income properties and more. Our broad inventory also includes a myriad of upscale Playa del Carmen condos for sale to choose from. Check out our real estate listings to explore the fabulous opportunities to live and work in Mexico’s fasted growing tourist mecca, Playa del Carmen. Whether you are looking for luxurious villas in gated golf course communities like Bahia Principe and Playacar or beachfront condos in Playa del Carmen, we have got your needs covered. If you are looking for lavish beachfront villas in Akumal, Playacar, Tulum or even inside the Sian Ka’an Biosphere, just talk to one of our Playa del Carmen real estate agents. They are waiting to help you find the property of your dreams. Just tell us exactly what you are looking for, the amenities and facilities that you require and the budget that you have in mind. Respecting your unique requirements, our team will begin their search. Purchasing property can be a risky business with a lot of money involved. With BuyPlaya Real Estate Advisors, you can have total peace of mind. We are active members of NAR and AMPI and we hold the recognized and trusted designation of REALTOR®. With an average of 50 transactions closed annually, our experience backs up our reputation as one of the fastest growing and most trusted real estate agencies in the region. The moment you contact BuyPlaya Real Estate Advisors with your property requirements, it is our responsibility to see to it that you find exactly what you are looking for. There is no reason to be hesitant to buy property in Mexico just because the buying process is different than in the United States or Canada. Our dedicated team of real estate agents will work exclusively for you to ensure that your specific needs are met while diligently protecting your best interests. Your dream property in Playa del Carmen, Mexico is only a phone call or a click away! Our agents are eager to help you find your dream holiday home, investment or retirement property. BuyPlaya is the fastest growing real estate agency servicing Playa del Carmen and the Riviera Maya, facilitating an average of 50 transactions annually representing approximately 20 million dollars in real estate sales. As industry leaders, we are active members in good standing of AMPI and NAR and proud to hold the trusted REALTOR® designation. Playa Del Carmen real estate by BuyPlaya maintains a large inventory of Riviera Maya properties and including beachfront condos in Playa del Carmen and spectacular villas in gated golf course communities such as Playacar and Bahia Principe and luxurious beachfront homes in Playacar, Akumal, Tulum and inside the Sian Kaan Biosphere. How can BuyPlaya help me find the best property in or near Playa Del Carmen? BuyPlaya clients have access to unique commercial opportunities that may never be seen on the open market. Our extensive inventory also includes land and lots for development, income properties, hotels for sale and variety of opportunities to work and live in Playa del Carmen, Mexico. The process of buying real estate in Mexico is indeed different than it is in Canada and the United States. That does not mean it has to be difficult or risky. Working exclusively for you, BuyPlaya Real Estate Advisors will insure that your desires are met and your interests are protected. Welcome to BuyPlaya Real Estate Advisors where each member of our team is committed to uniting extraordinary properties with extraordinary people! Rob and Michele moved to Riviera Maya in 2004 with a dream; to raise their family in paradise and invest in the world's fastest growing Mexican Riviera real estate market. Michele and Rob quickly identified a need for knowledgeable, trustworthy Buyer representation serving second home buyers and investors from the United States and Canada. From this need was born BuyPlaya Real Estate Advisors. See all of our listings! Our featured Riviera Maya villas and condos for sale are a sampling of the best homes available that represent good value in today's market and a strong ROI in the future. Whether you are looking for a retirement home or a unit with great vacation rental income potential, browse through our listings or use our Playa del Carmen Real Estate Search to receive up to the minute market notifications about listings that best fit your needs. Can foreigners really buy in Mexico? Can you recommend a bilingual state licensed Mexican attorney? Can I mortgage my purchase in Mexico? Who will take care of my property when I am not using it? If you are just beginning your search for land or homes for sale in Mexico you will undoubtedly have many questions about the process. We have done our best to answer many frequently asked questions here.